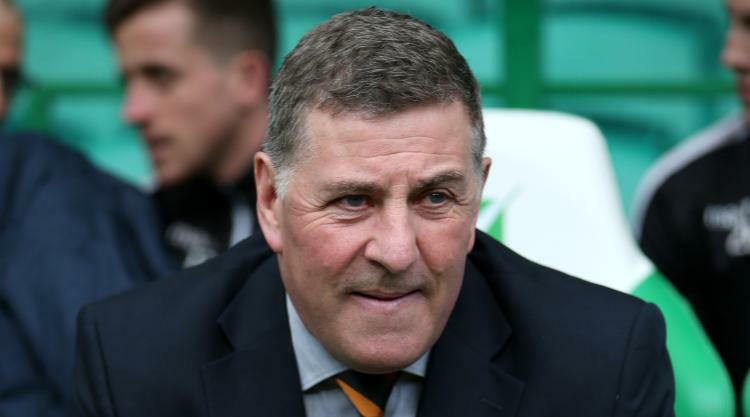 Motherwell have parted company with manager Mark McGhee, the Scottish Premiership club have announced in a statement. The Steelmen have lost lost four Ladbrokes Premiership game in a row, conceding 17 goals in that run. Fans protested against McGhee during and after Saturday's 5-1 home defeat by Dundee which left the Lanarkshire club 10th in the table, three points above bottom side Hamilton. The statement read: "The decision, taken by the board following consultation with the 'Well Society, comes after a disappointing run of results, culminating in Saturday's loss at home to Dundee. "Stephen Robinson, flanked by assistant James McFadden and under-20s boss Stephen Craigan, has agreed to take temporary charge whilst a new permanent manager is recruited as swiftly as possible. "The club wishes to thank Mark for his work during his second spell at Fir Park, particularly getting the club into the top six during the 2015/16 season, and wish him every success in the future."